The SGAE’s Documentation and Archive Centre (CEDOA) is Spain’s most important civil archive of music as well as one of the most complete theatre libraries in the country. Its origin runs parallel to that of the SGAE itself as the archive was created at the same moment the Society was founded (in 1899 under the acronym SAE) and it has never ceased to grow over these more than a hundred years of life thanks to the creative activities of its members. DO YOU WANT TO PROGRAM ZARZUELA AND SPANISH MUSIC? What holdings do we have? 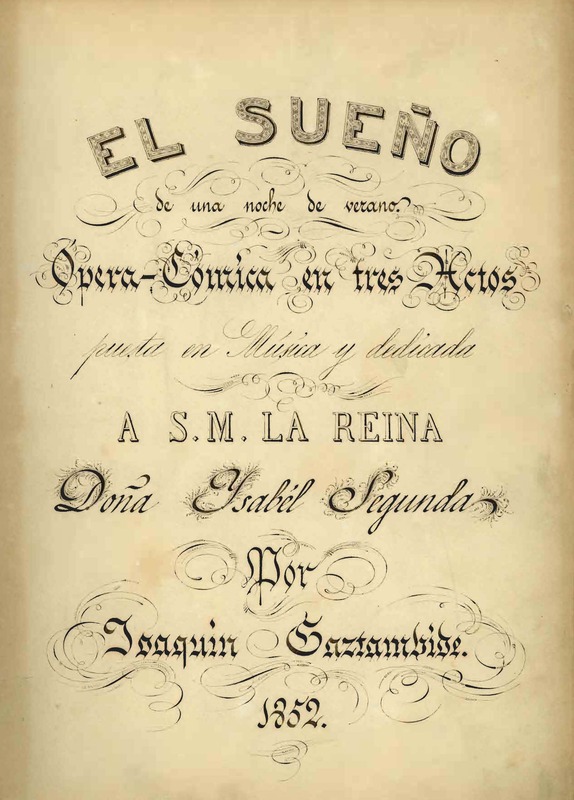 Within the General Collection, the most unique section is the Lyrical Archive, the home of orchestra material for more than ten thousand zarzuelas, Spain's version of light opera; it also holds a major set of original manuscript scores for zarzuelas and a large collection of published or manuscript librettos. The Symphonic Archive contains over forty thousand scores of non-theatrical classical music (for both vocal and instrumental symphonic and chamber music). The Minor Rights Historic Archive comprises forty thousand scores of commercial music from 1940 to 1985. The Library has rich bibliographic holdings on Music, Theatre and Copyright. Complementing this section of the collection is an extensive range of iconographic holdings (images of authors, performers and works from musical theatre), as well as old and modern periodical publications dealing with music and the stage) and a special collection of sundry documentation or personal effects that once belonged to composers, authors and performers). As a perfect complement to the General Collection, the section devoted to Special Holdings and Personal Archives comprises over fifty donations or legacies from musical and theatrical authors. There is also a representation of archives from impresarios, actors and actresses, singers, soloists or musical publishers and two special collections with the historic holdings of the SGAE itself, included in this section due to their specific nature. How can they be consulted? The Documentation and Archive Centre of the SGAE opens its doors to any interested party, whether a researcher, a performer or members of the general public. It offers its own reprographic service for people requiring reproductions of the holdings for research or study (this service is of course subject to the legislation governing Intellectual Property). The collections are distributed over two locations: the Longoria Palace in Madrid and the SGAE’s office in Barcelona. Passeig Colom 6, Barcelona 08002. Palacio de Longoria (basement). Calle Fernando VI 4, Madrid 28004. 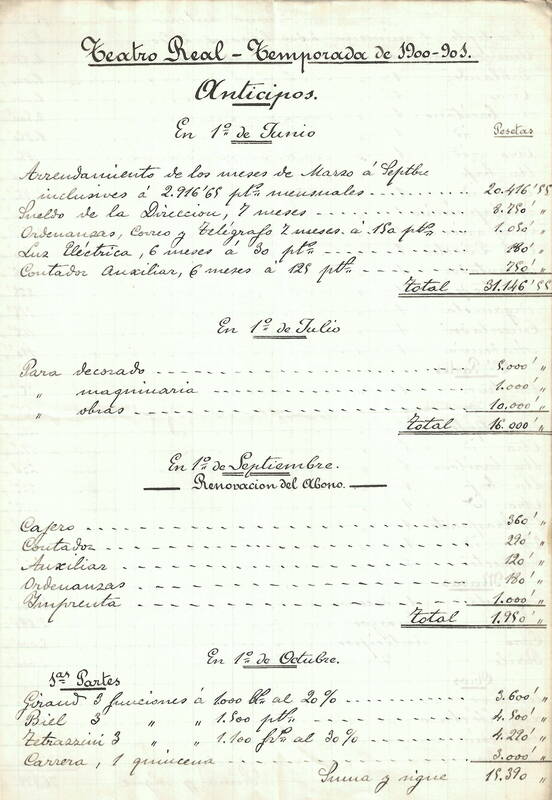 The lyrical archive of original scores holds about two thousand orchestra scores of from the best known Spanish operettas (zarzuelas) (among them titles like Jugar con fuego , Marina , La Gran Vía , El rey que rabió , La rosa del azafrán or La chulapona ). In addition, many of these scores, that date from both the nineteenth and twentieth centuries, are autographs. This collection constitutes the most important corpus of this nature of all those that are kept in the world. 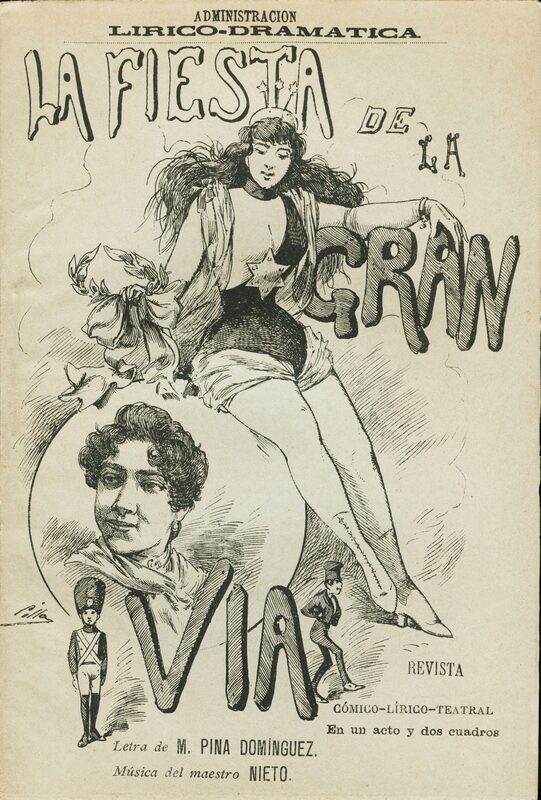 Around eight thousand Spanish operettas have orchestra materials (along with their corresponding libretto and reduction for singing and piano used as part of aiming or directing), which forms a unique collection in the world. This archive also has a commercial function since these materials are rented by theatres, auditoriums and lyrical companies for the production of the vast majority of operatic titles that are put on stage or produced in concert version anywhere in the world. 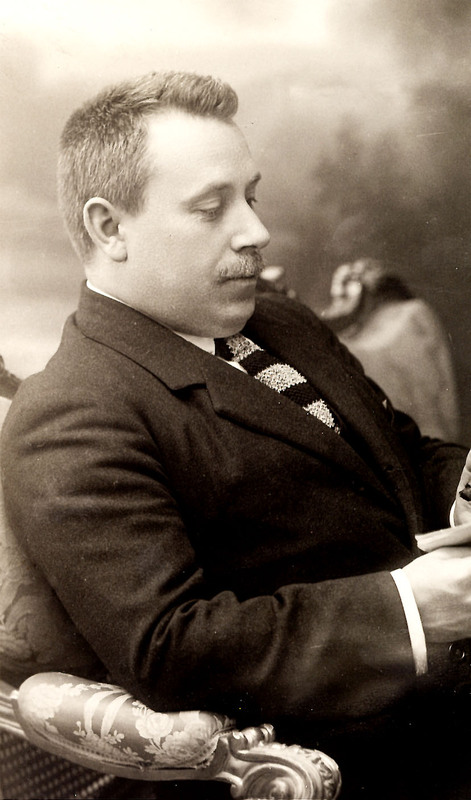 The collection of lyrical material from Madrid is complemented by the SGAE's musical archives at its headquarters in Valencia (where some three hundred and fifty lyrical works are kept, mostly in the Valencian language) and in Barcelona (which holds three thousand seven hundred works, five hundred of which are Catalan operettas). The voluminous collection of scripts contains edited copies and manuscripts from the dramatic repertoire of the SGAE (both musical theatre plays and recital theatre). This corpus also includes translations from foreign authors. 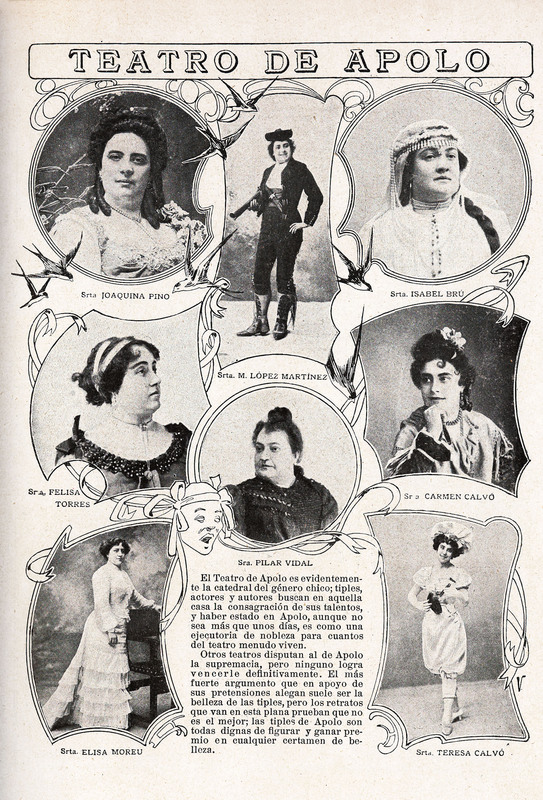 The Catalan theatre collection (original or translated into this language) stands out due to its uniqueness and importance, with nearly three thousand volumes. This is the liveliest section of the archive as it is nurtured (week by week) with SGAE’s member authors’ classical music that continues being composed and recorded. It consists of scores and orchestral excerpts of all the non-lyrical classical music in our archives (symphonic, choral, chamber, etc...) Of particular importance is the corpus of symphonic works written for dance and cinema. Today there are more than forty thousand records. This archive comprises of mostly handwritten scripts, material for various instrumental groups (from rock bands to orchestral bands, covering a wide range of groups) and handwritten or edited reductions for songs and piano. This is a group of enormous relevance, practically unheard of, that will be key in studying the repertoire of Spanish popular music between 1940 and 1985. It consists of more than forty thousand scores. Made up of donations made by partners and publishers, the Library takes shape in the mid-twentieth century on the initiative of the writer Federico Carlos Sáinz de Robles. It is a specialised bibliographic collection in which theatre and music have special relevance, but where there is also a notable presence of publications on cinema, dance, copyright and non-dramatic literature. A small but rich collection in which late nineteenth-century publications and those of the early twentieth century dedicated to music or theatre, as well as film magazines published in the second half of the twentieth century are featured. It also includes modern musicological serial publications. 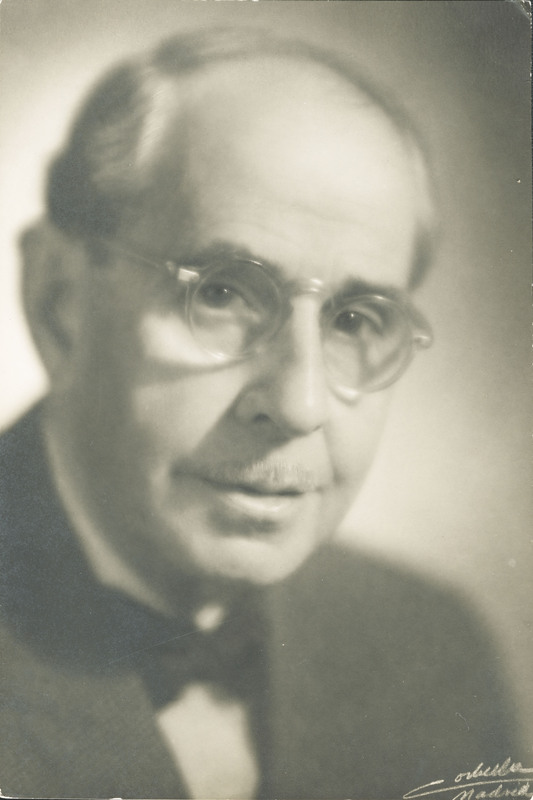 The important photographic collection of the Archive has as its starting point the donation made by the composer and director of the musical archive Ángel Andrada who put together photos dedicated to him by various authors and composers. Another outstanding set of images is that generated by the institutional activity of the SGAE (which show meetings, presentations, prizes, concerts ...). 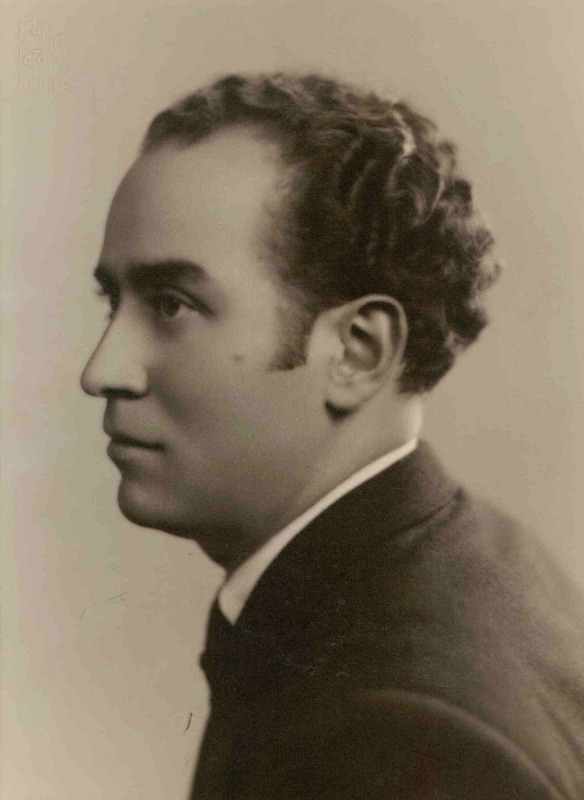 Also worthy of note are the photos collection from various personal legacies, including those of the “cuplé” composer and lyricist Álvaro Retana. It contains about ten thousand images. A wealth of documents and heterogeneous objects difficult to assign to the other categories of the General Collection complete these rich collections. They can vary from authors' or performers' personal effects to various documents such as autographs, letters, programmes, brochures with "plots and repertoires", posters, administrative documentation, etc. 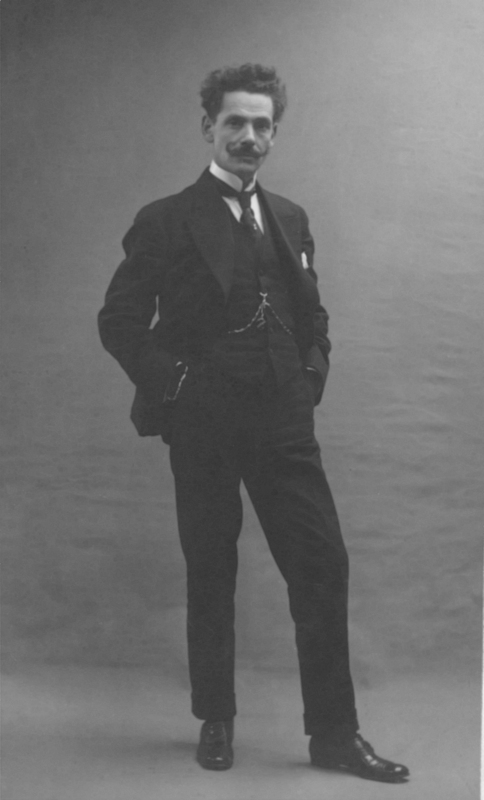 The collection of José Serrano Simeón, one of the most important Spanish lyric composers of the 20th century, and author of operetta paradigmatic titles. This documentary set received in the autumn of 2016 mainly includes scores and short scores of lyrical and instrumental works. In July 1999 the SGAE received from Elsa del Campo, daughter and heiress of Conrado, the scores and drafts of his works previously stored at the Juan March Foundation. 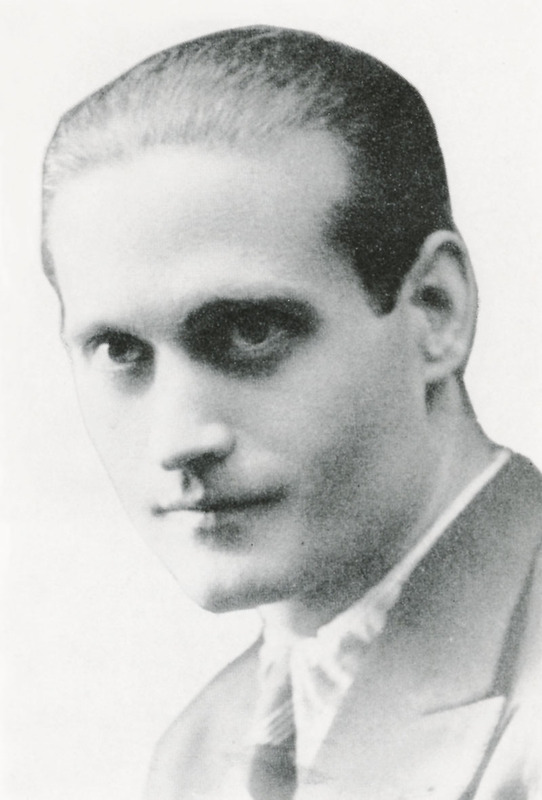 This great musician and viola performer, who in turn was a teacher of several generations of composers (Bacarisse, Julián Bautista, Remacha, Miguel Alonso, etc. 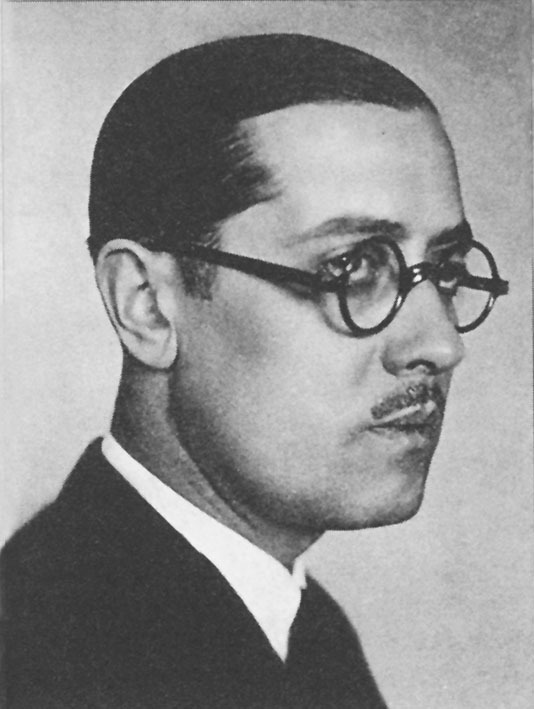 ), was one of the great Spanish creators of the twentieth century. It is a valuable corpus that brings together his chamber music, lyrics and symphony music. Bequeathed to the SGAE by the heirs of Pablo Luna Carné in 1994. 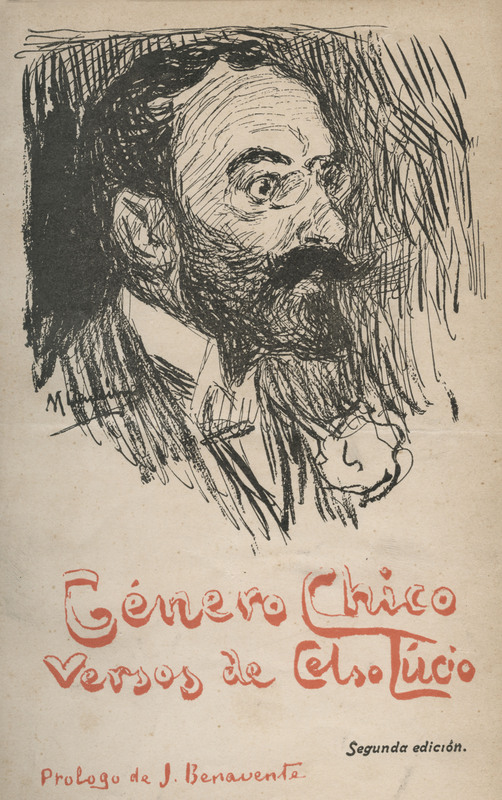 Especially noteworthy for the typological variety of his collections, since the scores of his works (mainly lyrical, many of them authentic landmarks of the history of Spanish operetta, but also symphonic music, ballets, songs and music for cinema) add up to a rich set of drafts, orchestra materials, bands, orchestral and sextet, edited scores (of his or other composers' music), letters, press clippings, photographs, librettos, in addition to the personal collection of his wife, the singer Lola Monti. 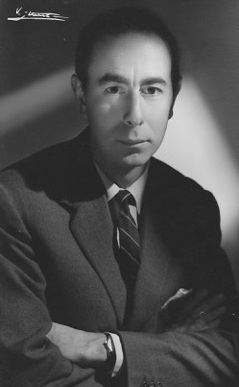 The playwright (as well as journalist, novelist and poet) Eduardo Marquina Angulo maintained an indisputable role during half a century of Spanish theatre with titles still remembered today such as En Flandes se ha puesto el sol, Doña María la Brava or Las hijas del Cid; also of some signed librettos of currently forgotten lyrical works, but of enormous interest due to their novel aesthetic significance. 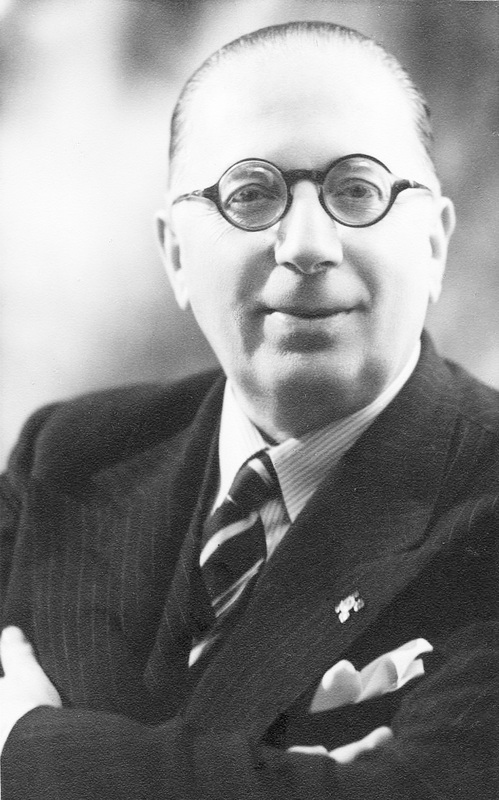 After being the president of the new-born SGAE (he was its first president, occupying the position from 1932 to 1946) he donated various documentation, an important photographic collection and several manuscripts of his works to the institution. Majorcan composer and pianist. He studied at the Schola Cantorum de Paris and obtained fame and recognition as a performer and composer. His return to Majorca in 1933, for family reasons, and the outbreak of civil war in Spain, cut short his career. 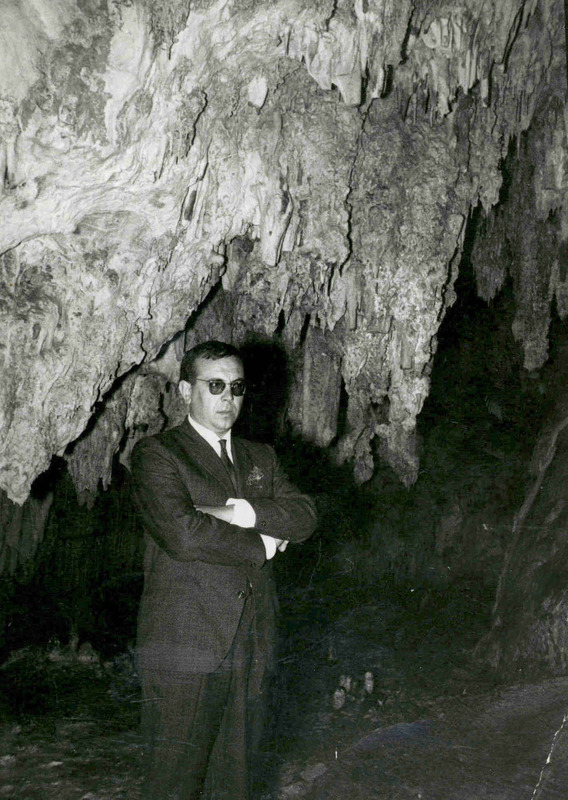 His extensive archive, kept by his son in Palma, was donated to the SGAE in 1997. It includes handwritten scores with opus numbers 1 to 42, symphonic and religious music scores without opus numbers, edited music, music signed with the pseudonym of Antonio del Ranto, posters and programmes. 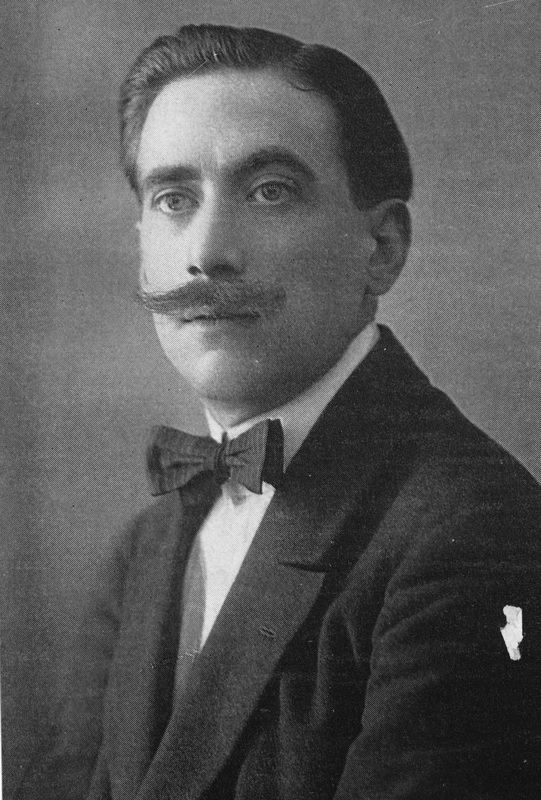 The composer Francisco Alonso López who was baptised as "king of the pasodoble" was indisputable arbiter of the musical scene before and after the civil war with numerous Spanish operetta and magazine titles to his credit that are part of the popular imagination of several generations of Spaniards . 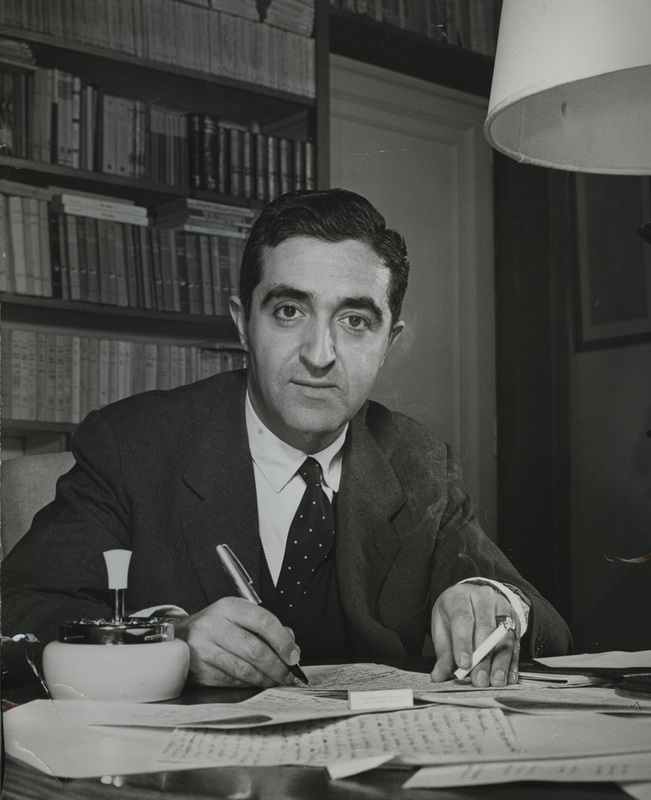 His most important musical archive, donated jointly to the SGAE and the ICCMU by his heirs in the year 2000, consists of handwritten scores, edited music, short scores for sextets, small orchestras and music bands and librettos of his lyrical works. 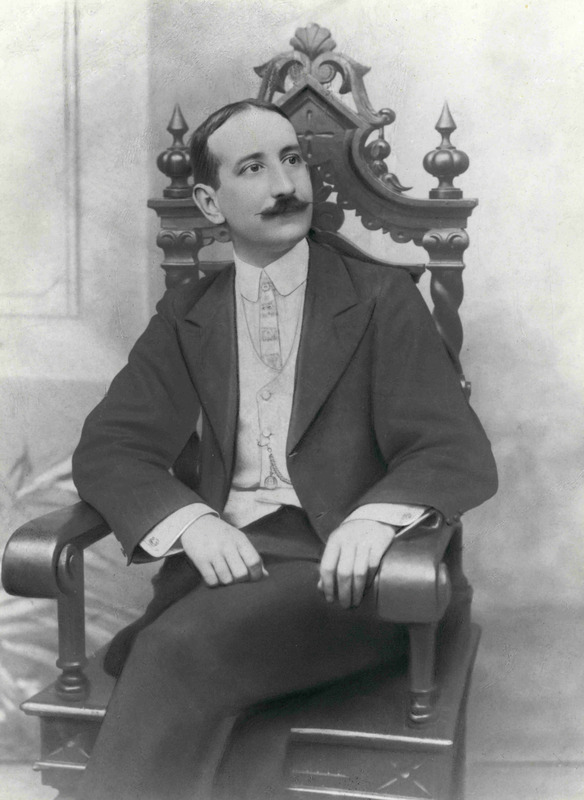 The Ciudad Real composer Luis Barta Galé, who became the "doyen of the Spanish song", not only wrote "cuplés", he dedicated himself to his teaching at an academy, and also cultivated musical theatre and instrumental music. The rich collection bequeathed to the SGAE by his grandchildren in 2015 includes drafts, manuscripts and editions of all his musical production as well as materials from his small orchestra archive and multi-author songs intended for teaching at his academy. It also includes administrative documentation, letters and some disks. He shared literary interests in two areas - journalism and theatre - with fruitful production in both. 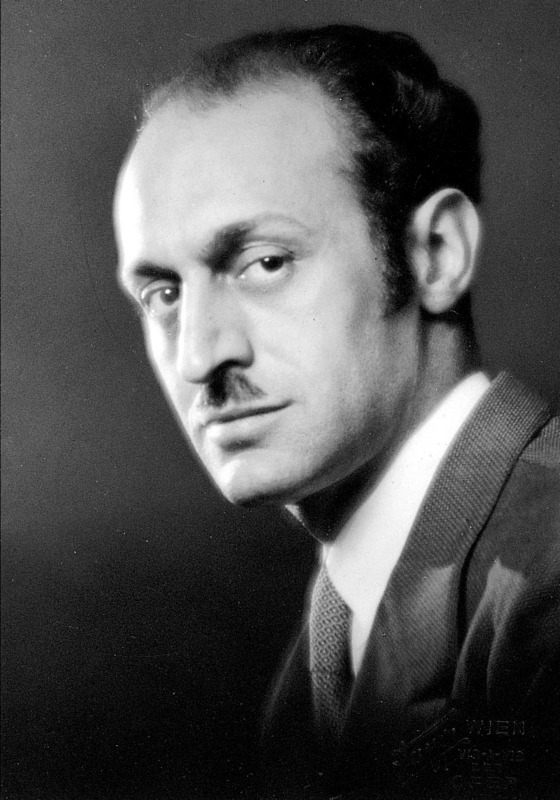 Closely linked to the General Society of Authors and Publishers (he was, among other positions, director of the library) he donated an important photographic collection to the institution Archives, in which a large group of reports of his theatrical releases stand out. 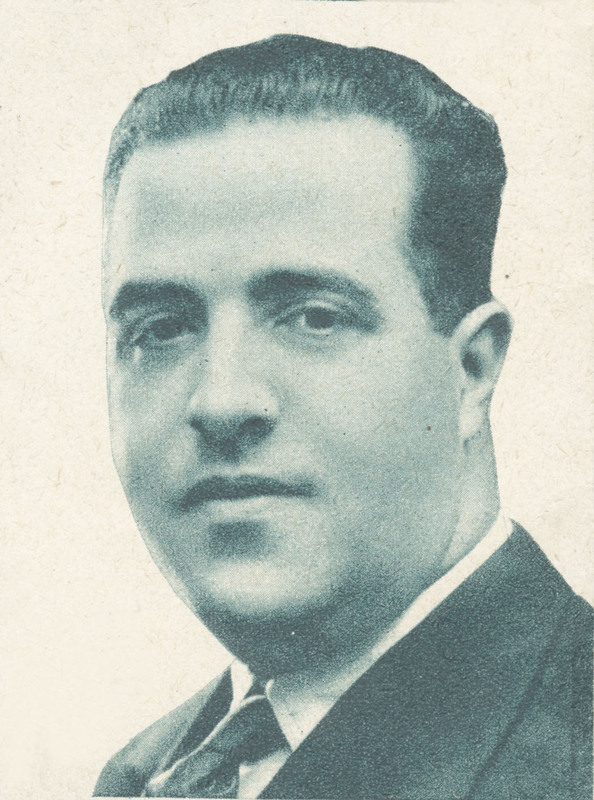 In May 2010 we received the legacy of "maestro Rosillo", the great musical theatre protagonist before the war, who also continued to work intensely after it until his death. This important collection contains handwritten music (musical plays as well as choreographic, vocal or purely instrumental pieces), drafts, printed music (editions of his most popular works), correspondence, posters, administrative documents, librettos of his works, etc. 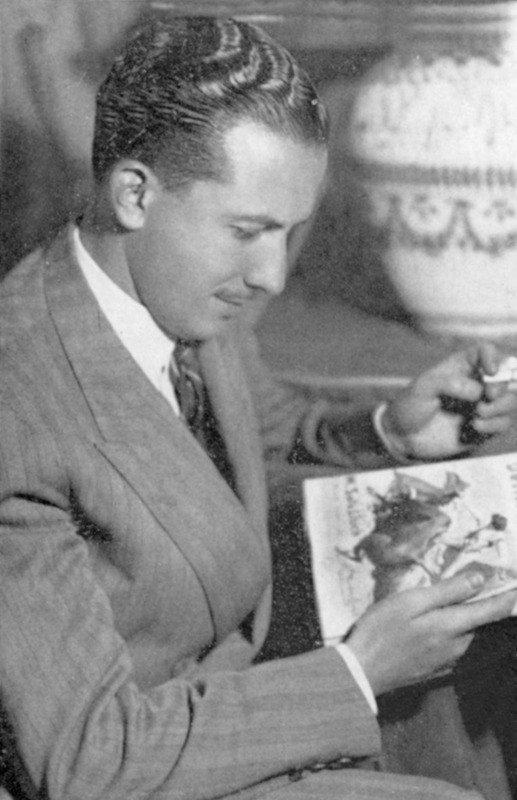 The actor and theatrical impresario Jesús Tordesillas donated the theatrical archive of the "Spanish Company of High Comedy" that he directed to the SGAE. This important collection of theatrical books amounts to almost three thousand dramatic titles, which sometimes have several different editions, complementing in a very remarkable way the list of Lyrical and Recital Theatre librettos of our General Collection. 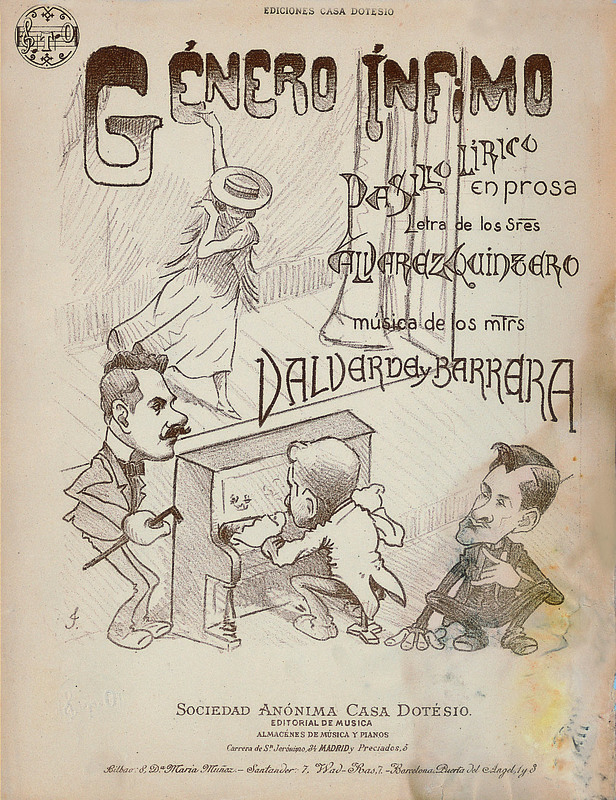 Legacy by the Mutual collection for Social Protection of Authors and Publishers in 2000, the archive of Genaro Monreal Lacosta integrates documents (correspondence, authorizations, agreements, lists of works) and scores of this famous composer dedicated to the varieties that also dealt with musical theatre towards the middle of the last century. 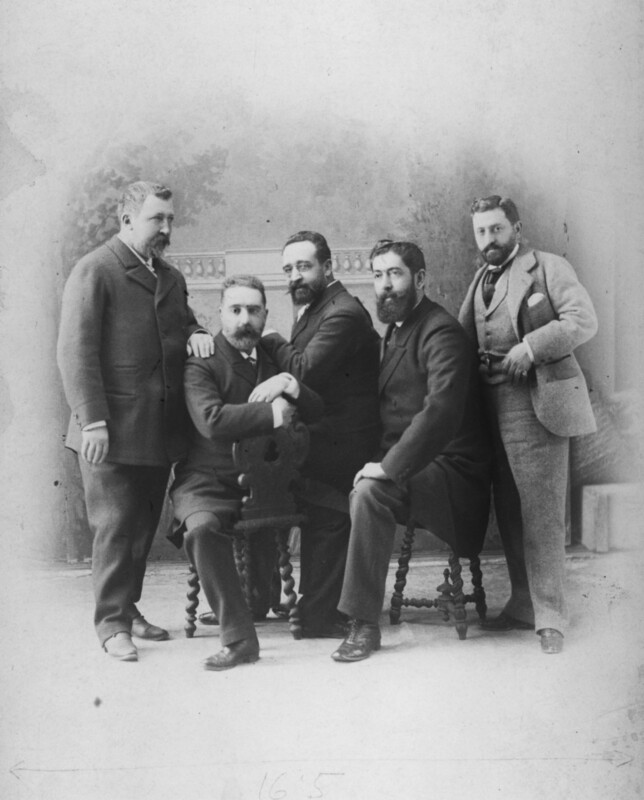 The composer Manuel Blancafort de Roselló was an outstanding member of the 27th generation, of the Republic, integrated in the group known as the Barcelona Group. On March 19, 2001 his daughter Camila Blancafort donated a series of symphonic, chamber music scores, for voice, piano and piano players, signed by her father, to the SGAE. This came to form part of the SGAE archives in the year 1996. It includes orchestra scores of original and arranged lyrics, music for ballet, compositions for voice and orchestra, music for piano and for voice and piano, as well as small scores for bands, small orchestras and various chamber ensembles. It also contains documentation. Of particular note is the collection of symphonic scores of a figure who, always betting on contemporary music was an important enabler of Spanish musical life not only as a composer but also as an orchestral conductor. The legacy of composer, historian, critic and pedagogue José Forns Quadras was collected in the family home in 2001.This collection includes symphonic lyrical and cinematographic orchestral scores, and songs, drafts, written parts, his own edited music and that of other composers, compilations of his critiques published in the press, the notes he took from the master classes taught by Conrado del Campo and handwritten notes for his history of music books. 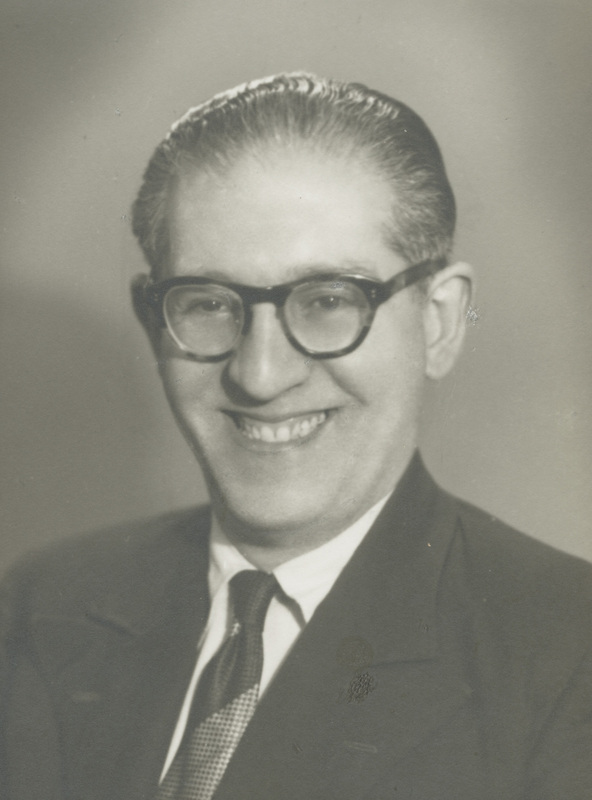 The archive of the composer and orchestral conductor José Mª Legaza Puchol, donated in 1995, is composed mainly of the numerous (and successful) songs and "cuplés" that he wrote in the thirties and forties of the 20th century for singers such as Antonio Molina, Rafael Farina and Pastora Imperio. It also contains notes, drafts and orchestral materials for lyrical works. 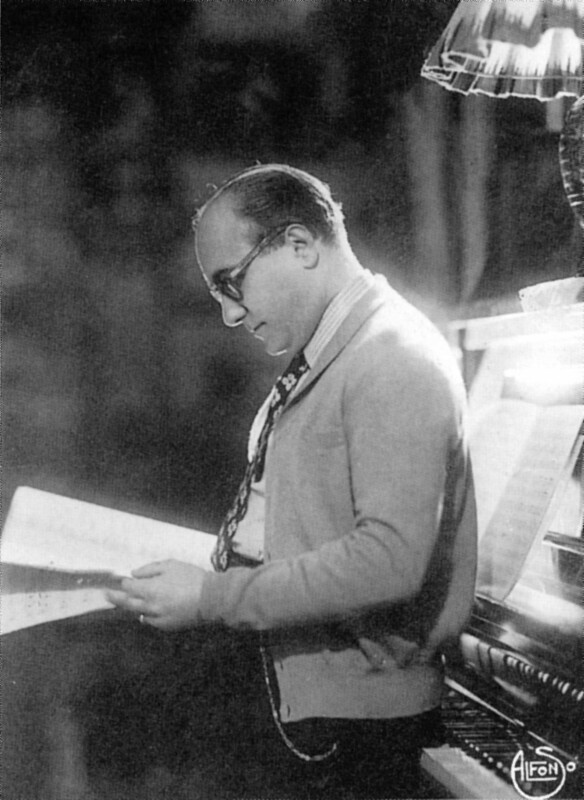 Guillermo Cases Casañ divided his musical career between piano performance (as a child he was already a virtuous concertist) and composition (of musical theatre, songs, piano and cinema music). His archive includes orchestral scores, piano scores, orchestra materials and drafts of his works as well as edited music by other composers. At the same time as Andalusian copla composer and songwriter Manuel Gordillo created a musical academy to which attended the most important performers of the genre, such as Raphael. 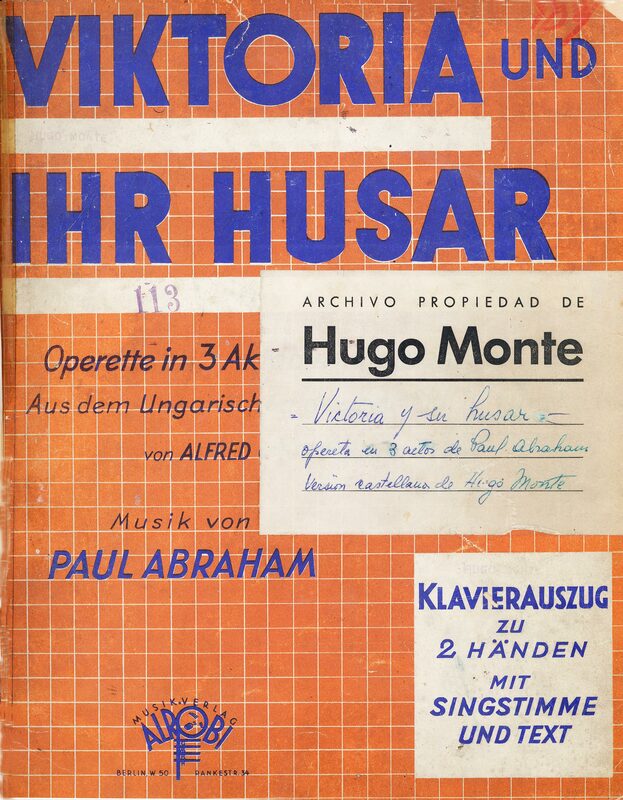 His archive was received in June 2011 and contains scores of his songs and musical theatre works and documentation related to his editorial, Music of Spain. 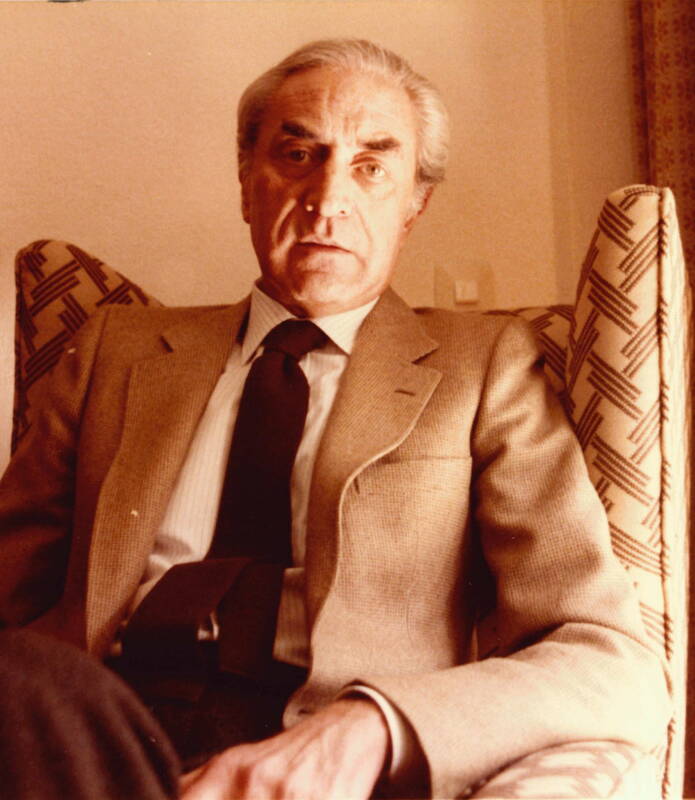 The legacy of the long-lived composer Josep Maria Torrens i Ventura was received in 2001 in the SGAE music archive in Barcelona. Interested in different musical genres, such as sardana, soundtracks or lied, he is especially known for his songs and his magazines, many of which are represented with great success in el Parallel in Barcelona. This collection includes scores, personal documentation, programmes, records, press clippings and photographs of performances. The collections that make up the legacy of Daniel Montorio Fajó are the richest, quantitatively speaking of all our special collections. They include operetta orchestral scores, magazine and musical comedy alongside film soundtracks as well as sextet and small orchestra small scores. They are complemented by letters, press clippings and countless documents from one of the great names of "commercial music" of the Spanish post-war period. The legacy of the director, composer and theatre impresario Jaume Mestres i Pérez joined the Barcelona headquarters of our archives in 2012. It is composed of scores, pictures of representations, figurines, scenographic sketches and press clippings from the successful magazines produced in the mythical Parallel, which was one of his essential names. Although this documentary collection formally belongs to the General Collection, due to its size and uniqueness it has been segragated as a personal archive. It is composed of orchestral materials and scores from a large range of film sound tracks composed by this productive musician born in La Línea de la Concepción. 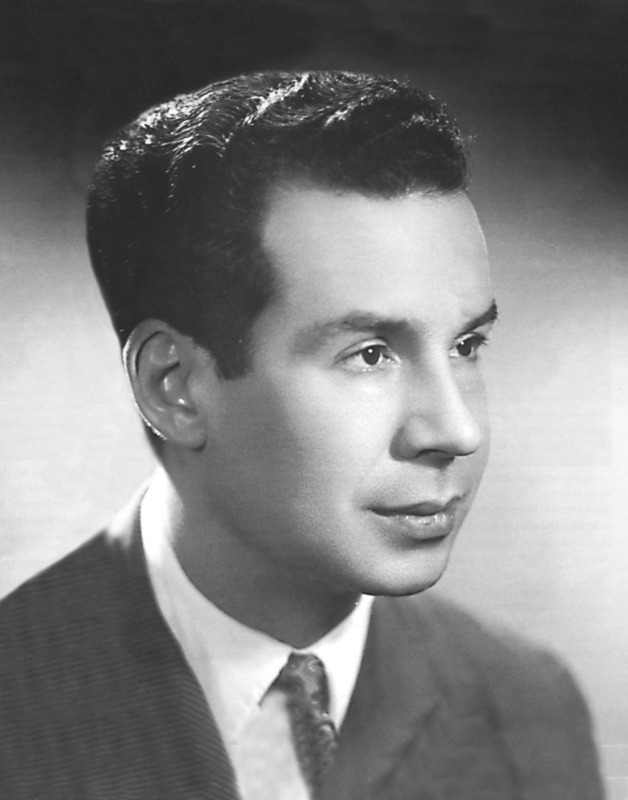 Cuban composer and performer José Fernández Díaz, "Joseíto Fernández", was a part of amateur trios and sextets until he began to sing with bands from his country. 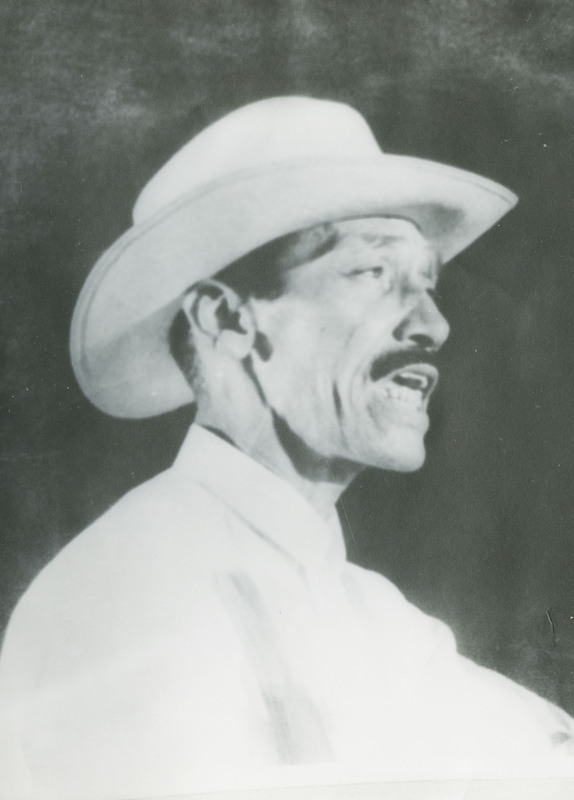 His international success came with Guantanamera with the verses of José Martí. 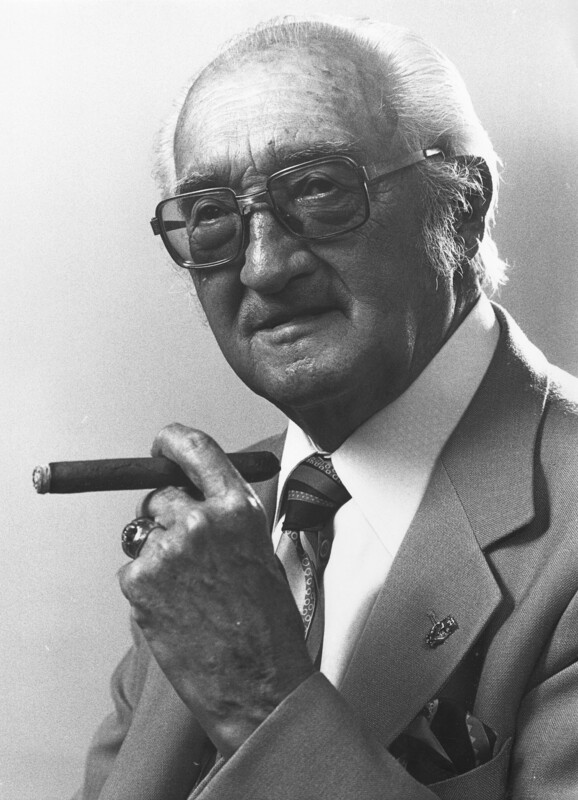 His descendants bequeathed his archive to the SGAE in the 90s of the last century. 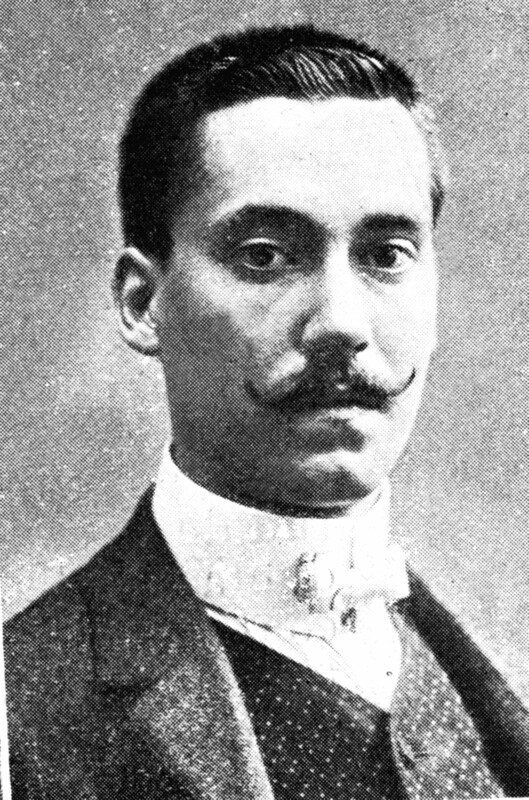 This composer was a student of Pablo Luna and Conrado del Campo. His production includes lyric works, soundtracks and numerous songs. 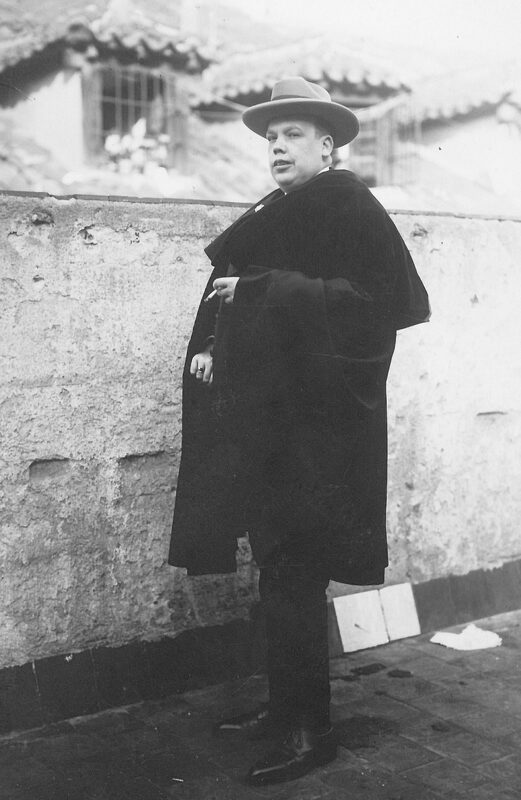 His Hispanic Songbook was performed, among others, by Alfredo Kraus. 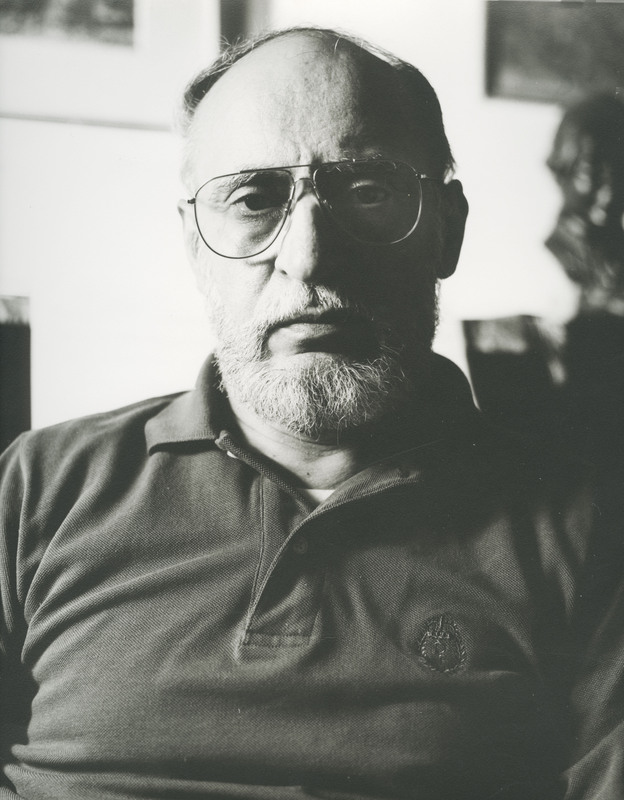 His archive, which includes scores, orchestra materials and documentation, was delivered to the SGAE by his daughter, Marianela Ruiz de Luna, during the summer of 2010. A documentary set covering the whole of the musical production of the Barcelona composer and performer Enrique Escudé-Cofiner Graugés known as "maestro" Cofiner. It includes orchestral scores, drafts, reductions for piano, editions or short scores of songs and concerts, cinematographic or musical theatre works as well as press clippings of both his premieres and his orchestra tours, recordings and books on musical themes. Donated in 2001 by Rosario del Álamo, widow of the dramatic author and Cuban musical-theatrical entrepreneur from Italy Ugo Chiaramonte Sidoti. 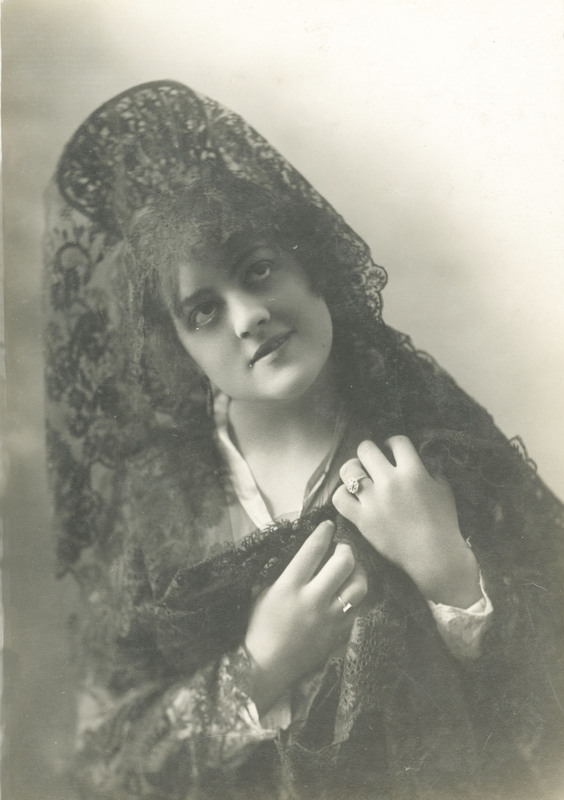 This archive includes a very rich collection of librettos, television scripts, vocal scores and orchestral material of original works and Spanish adaptations of European operettas performed by Chiaramonte. 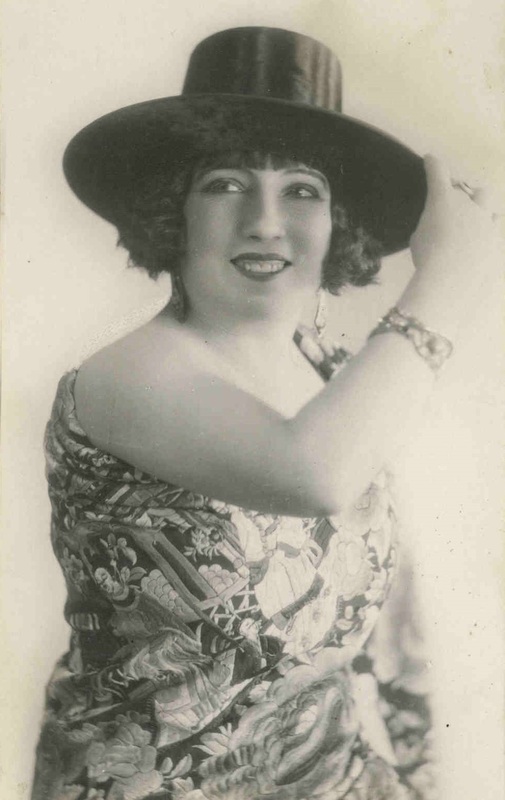 It also includes an interesting collection of orchestra material from the Spanish song repertoire that Rosario del Álamo performed, with the original orchestrations of many mythical works. 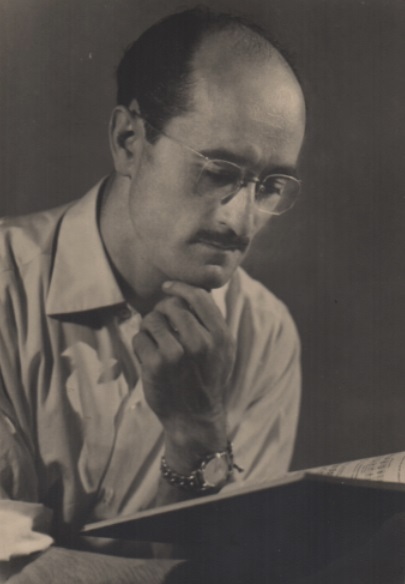 César de la Fuente Perona was a composer who dedicated himself to dance music in the mid-20th century (composing waltzes, fox-trots, rumbas, sambas, bayones, etc ...). In July 1999 his widow, María Cruz Valero, donated her husband's archive, consisting mainly of drafts, short scores of sextets and documentation. 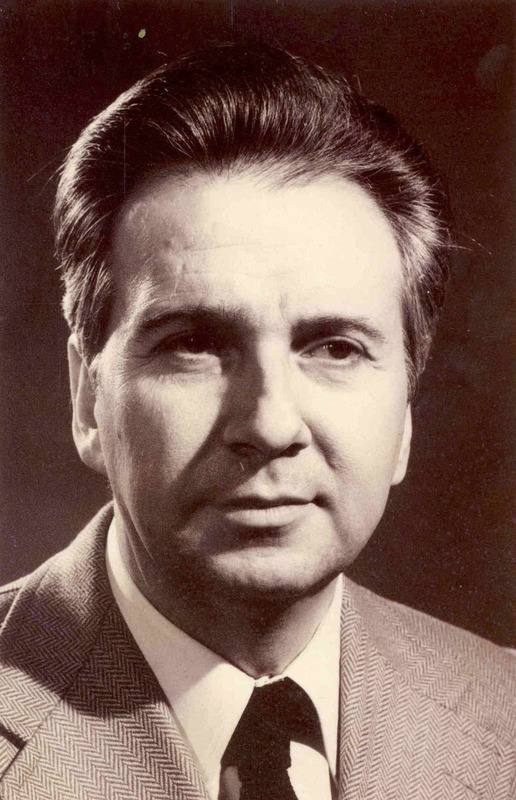 In 1998 the heirs of Fernando Moraleda Bellver bequeathed to the SGAE the archive of this important scenic composer, who developed the bulk of his compositional work in the 1940s, 50s and 60s of the last century. In addition to theatrical scores this archive includes cinematic music. Another legacy of Fernando Moraleda is guarded in the Barbieri Room (National Library of Spain, in Madrid) that complements our collection. 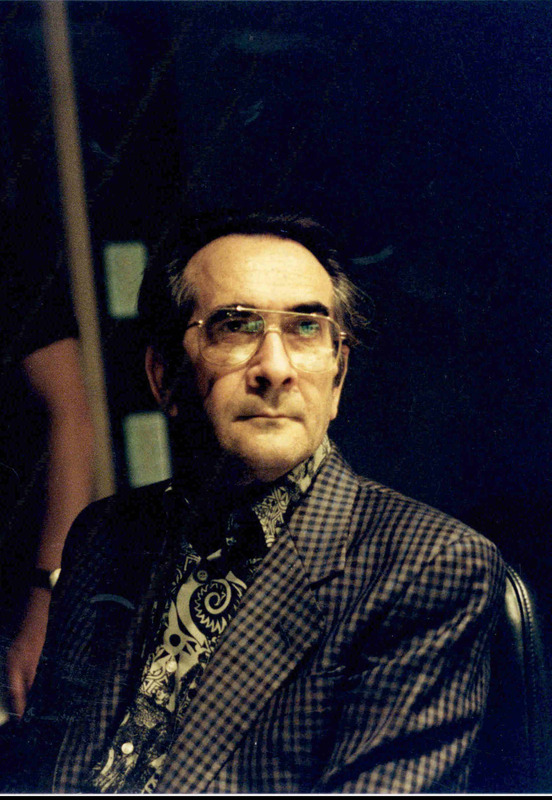 A documentary collection from the Argentinian song author and radio announcer of José María Martínez Blanco, known by the artistic name of Carlos Martínez Campos. It was donated to the SGAE by his daughter Mrs Milagros Román Martínez in July of 2016 and mainly includes music and song texts which he was the lyricist, and some radio scripts. 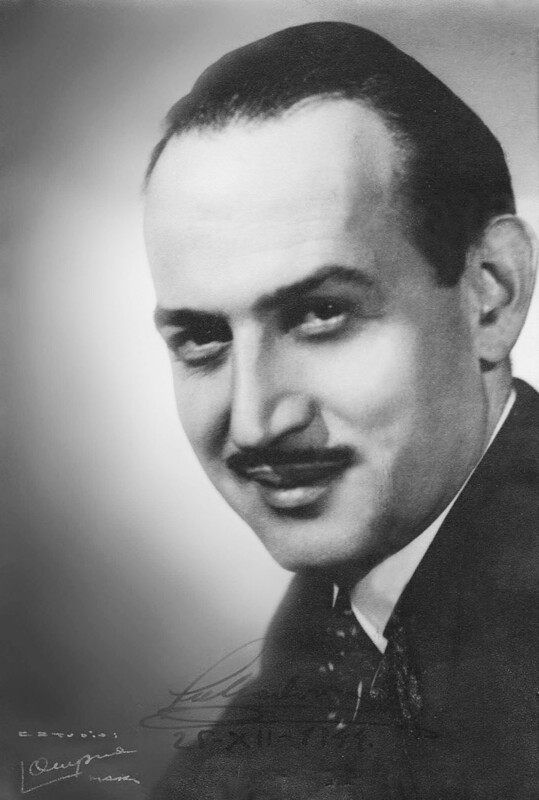 The heirs of "Maestro Morcillo", one of the great names in musical comedy in the second half of the 20th century, donated their large archive to the SGAE. It is composed of handwritten and printed music of his stage works, films, songs and advertisements, administrative documents, press clippings and an important collection of tapes containing recordings of his works. 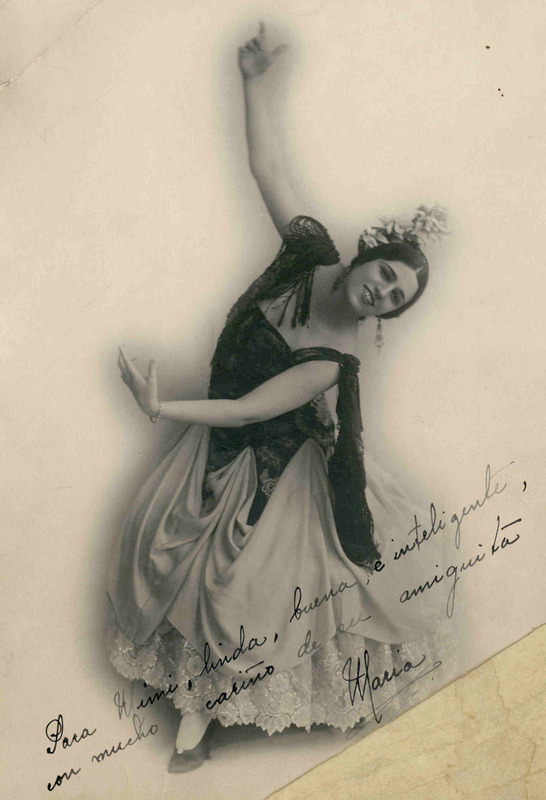 Carmen Serrano Díaz (Carmen Ontiveros) as well as a dance teacher and choreographer, was the daughter of José Ontiveros, a great "género chico" comedian. Bequeathed to the SGAE in 2007, was a set of programmes, documentation, photographs and tape recordings related to his own author's career. 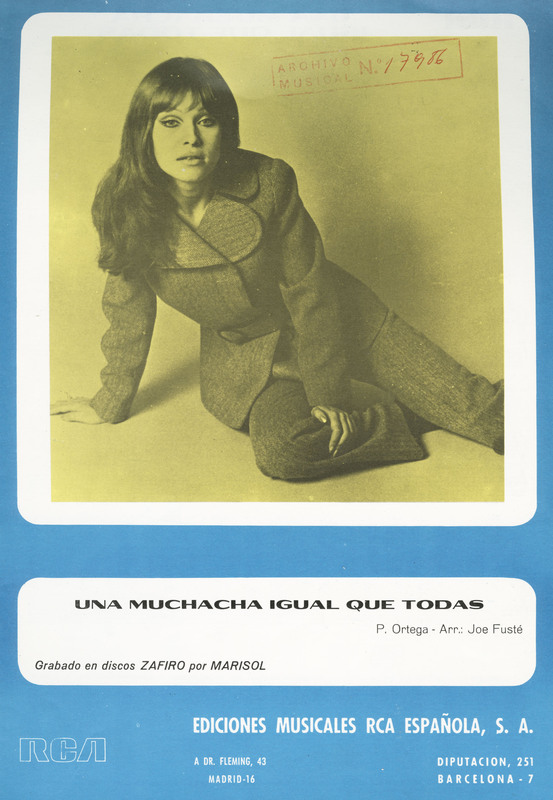 An album with clippings and photographs that illustrates the artistic career of José Ontiveros also forms part of the legacy. 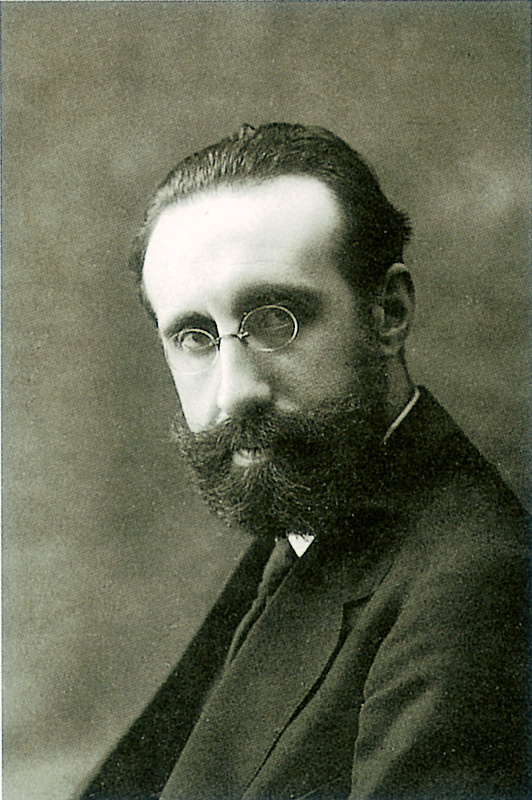 Antonio Buero Vallejo revitalised the theatrical panorama of the Spanish post-war period with titles that are classics of today. 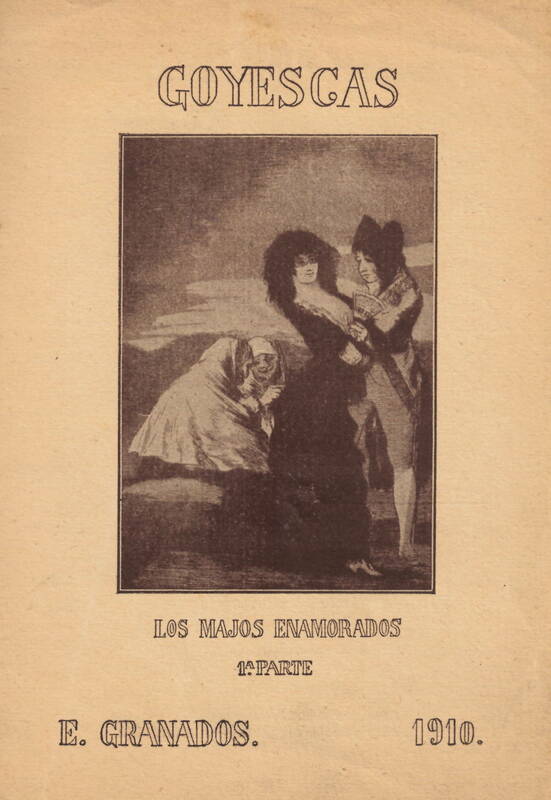 The eminent Castilian playwright donated a collection of photographs containing images of the premieres of his works and several portraits, along with his three-act drama manuscript La tejedora de sueños, to the SGAE Archive. 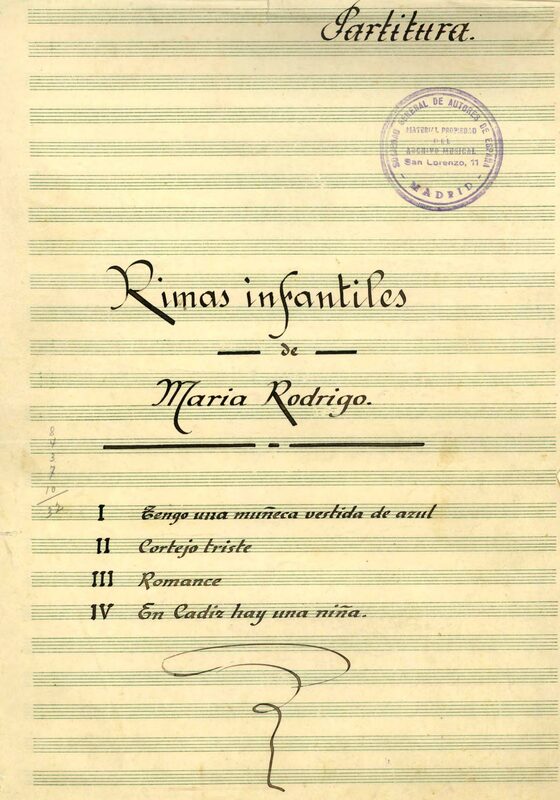 An important documentary set containing printed or handwritten music from the vocal repertoire of the Álava-born tenor Jesús Martínez de Aguirre, who began his vocal career as a child soloist singer of the Cathedral of Madrid and went on to lead the premieres of many contemporary Spanish composers. To this set, linked to his own professional career as a singer, a rich collection of religious music must be added, gathered by his family ancestors, that includes vocal and instrumental excerpts of liturgical repertoire from the 19th and 20th centuries. 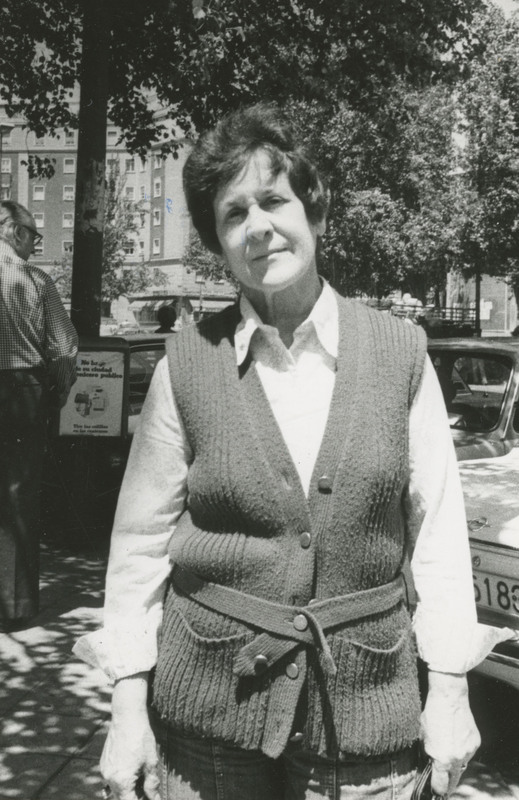 This archive was donated on May 5, 2003 by Társila Alonso, sister and heiress of composer and musicologist Miguel Alonso Gómez. 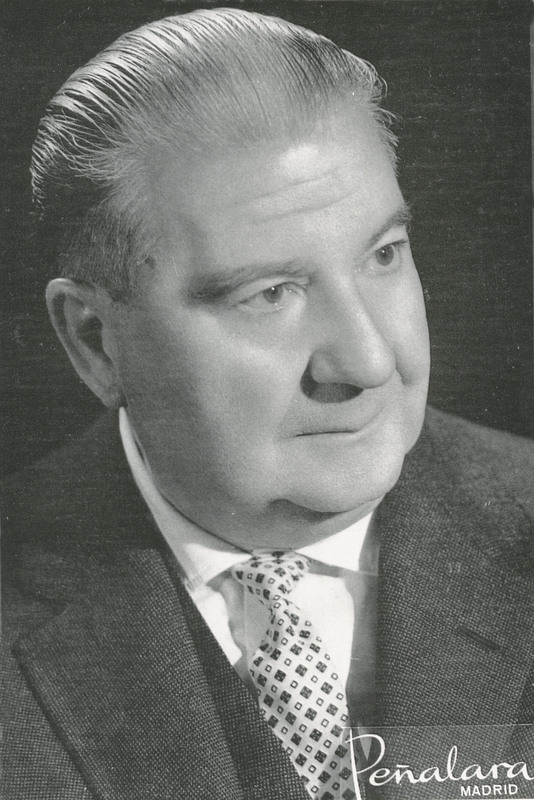 It is composed of scores, documentation (including his participation in the reform of liturgical music after the Second Vatican Council, his time in National Radio of Spain and his research on Domenico Scarlatti), lectures, publications and an important corpus related to Conrado del Campo - which he received from his son, Ricardo del Campo - of whom he was a disciple and whose work he catalogued. The procedures to initiate the donation of the Jaime Salom Vidal archive to the SGAE were initiated by the playwright himself in the year 2012. 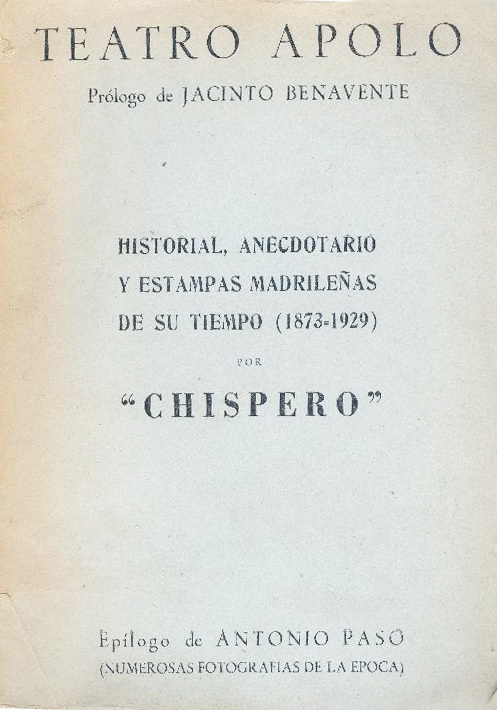 The manuscripts of all his works were received, except for Tiempo de espadas, La casa de las chivas and El baúl de los disfraces which he had already donated years ago to the SGAE library. His sad death in early 2013 led his widow, actress Montserrat Clot, to add the rest of the writer's voluminous archive to the donation. It includes this a correspondence collection, photographs, editions, press clippings, programmes, invitations, posters, etc. related to the artistic career of one of the great protagonists of Spanish theatre of the last third of the 20th century. 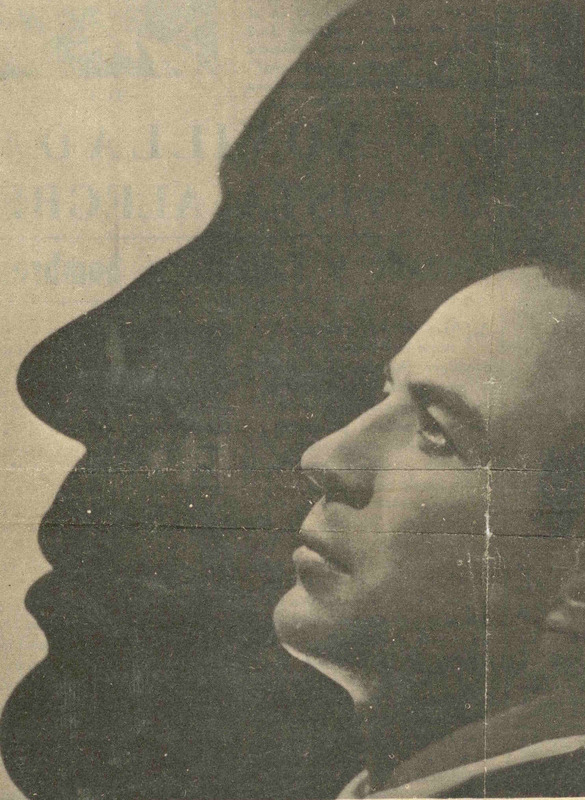 On 13th February 2018 the family of Pascual Aldave donated the historical archive of the Navarro composer. After a period of training in Bilbao, Mexico and Barcelona this author developed his artistic life in France and Spain, linked to orchestras such the French radio-television one or that of the Pamplona Conservatory (which he himself founded). He was also a member of the music section of the San Fernando Royal Academy of Fine Arts. The collection consists of the manuscripts of his symphonic-choral production. 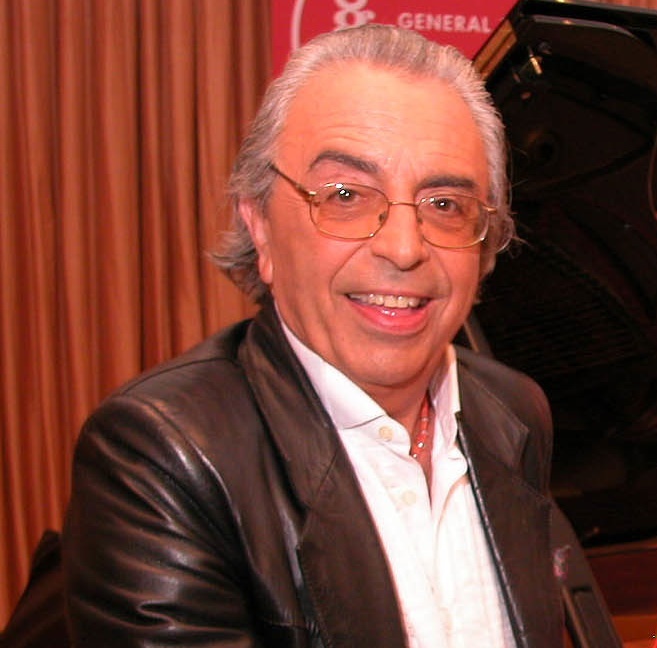 La Mancha composer Ángel Arteaga de la Guía's documentary collection, made in Spain and Germany, who received several awards in his youth. Professionally, he mainly worked in the teaching and the composition of cinematographic music and television, which is what nourishes the bulk of this documentary set. There are also several concert works. 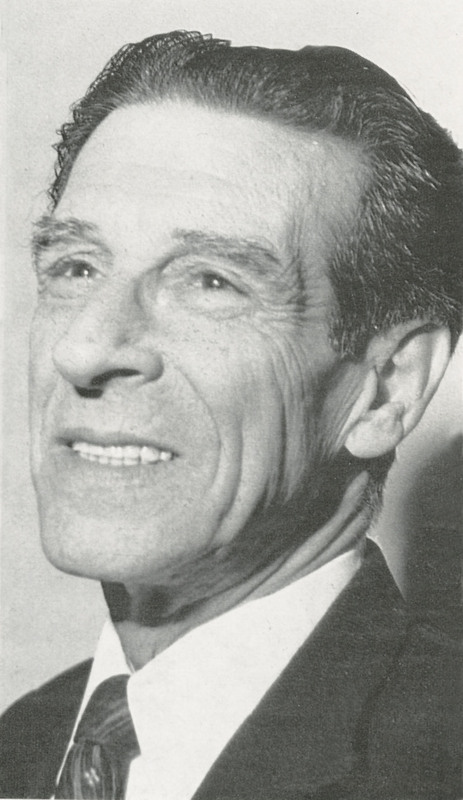 In 2017, the personal archive of the playwright Ricardo Rodríguez Buded was received, which includes the manuscripts of a theatrical production developed over several decades, in which are unveiled several titles released in the sixties: La madriguera (1960), Un hombre duerme (1960, Premio Valle Inclán 1959) and El charlatán (1962). Also included in this complete documentary collection are his theatrical adaptations of several dramatic and novelistic texts by foreign authors, photographs of some of his premieres, books and disks, and a large collection of programmes. Juan Olías Fernández's documentary collection, who was the SGAE's Head of Musical Archives (predecessor of the current CEDOA). 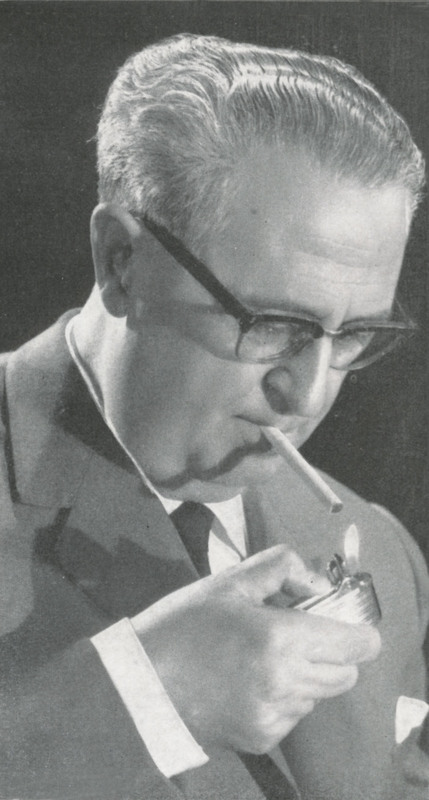 This collection brings together programmes, letters, photographs, books and disks with dedications from their authors, and is a testimony of a busy life in which he secured professional ties with numerous composers and performers. 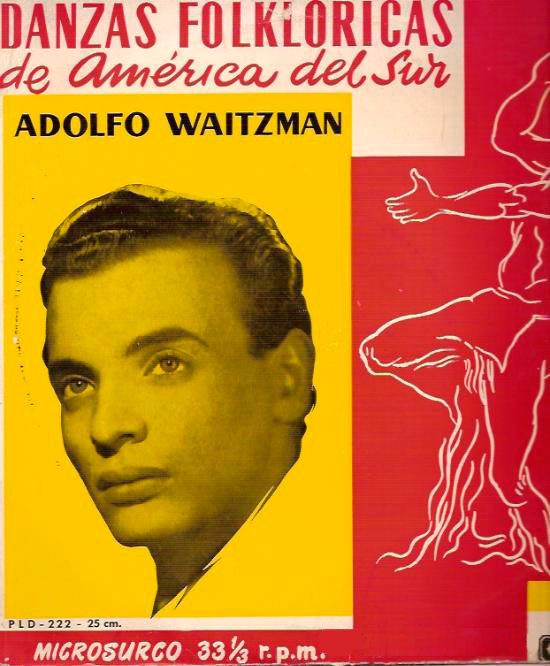 Adolfo Waitzman Goldstein was an Argentine composer based in Spain who developed the bulk of his musical career in the audiovisual field. The heirs of the composer bequeathed the orchestra manuscripts with the music of his films to the SGAE in 2017. 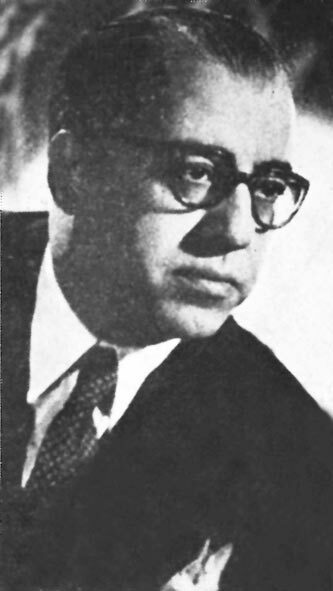 The Argentine composer Waldo de los Rios (Oswaldo Nicolás Ferraro) who passed prematurely, is known mainly for his arrangements. His archive, donated in 1996, consists of orchestra scores, drafts, edited music and orchestral material of his works. The pianist Agustín Serrano Mata, from a child began a long career as a concert performer and has diversified into areas such as teaching (as piano Teacher at the Madrid Royal Conservatory of Music), phonography (as orchestral arranger and conductor, as well as interpreter of multiple recording projects) and composition. 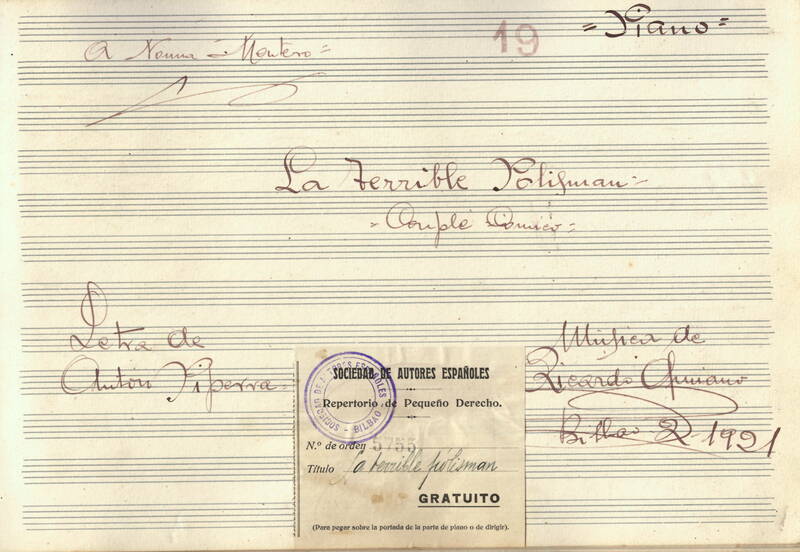 Included in this archive donated by the author himself in 2009, are original manuscript music and orchestra materials of his and his father Agustín Serrano Sanz’s works, who was also a composer. 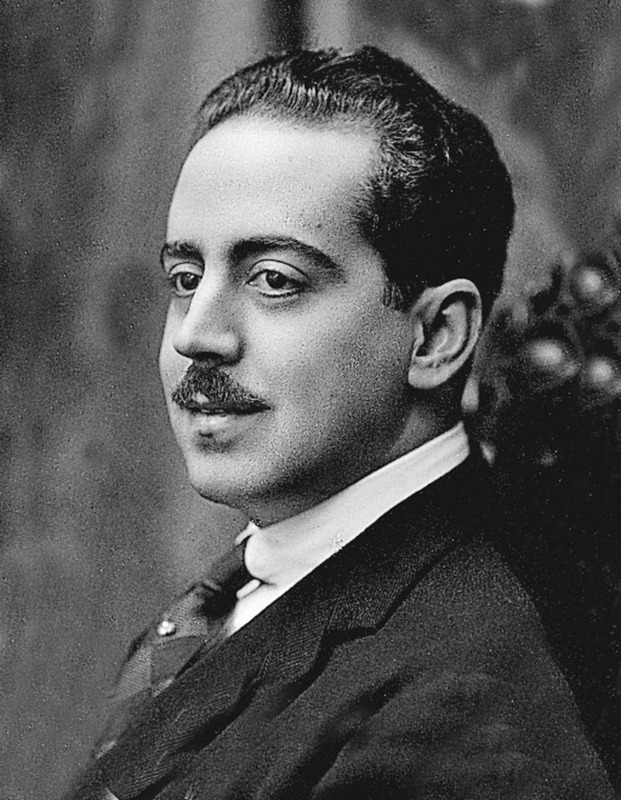 There are also numerous arrangements of works by other composers (both zarzuelas and symphonic music) while a third set of scores correspond to edited music signed by other composers. Composer, arranger, producer and orchestra conductor. 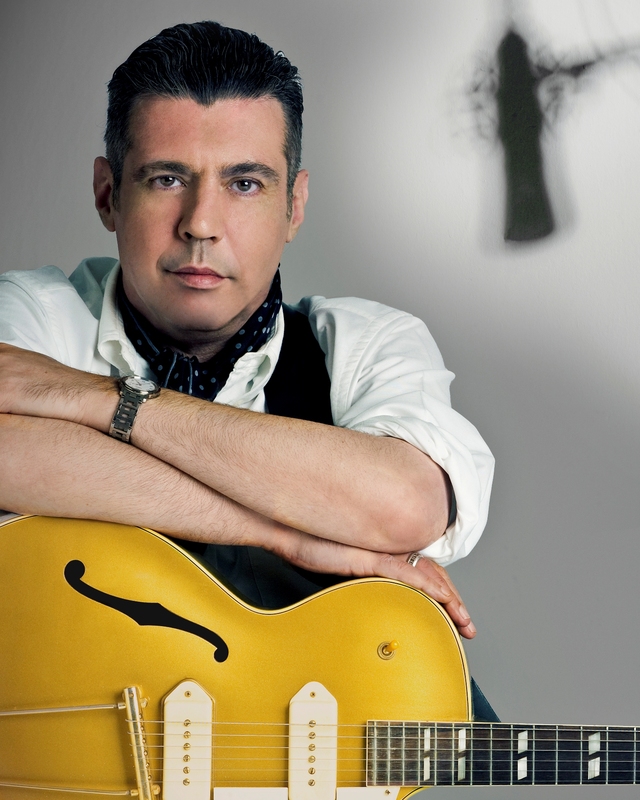 Most of his work is soundtracks for cinema and television. His archive consists of orchestra scores (both original works and arrangements), short scores , his own edited music, drafts, tape recordings and documentation. Bernardo Silvano Bonezzi Nahón was one of the representatives of the "movida madrileña" in which he participated as well as independently forming part of the group Zombies. Closely linked to the figure of Pedro Almodóvar, for whom he wrote several soundtracks, Bonezzi devoted much of his renowned artistic career to film and television music. His musical archive, received in 2013 through a testamentary provision, assembles scores, short scores and editions of many of his compositions. 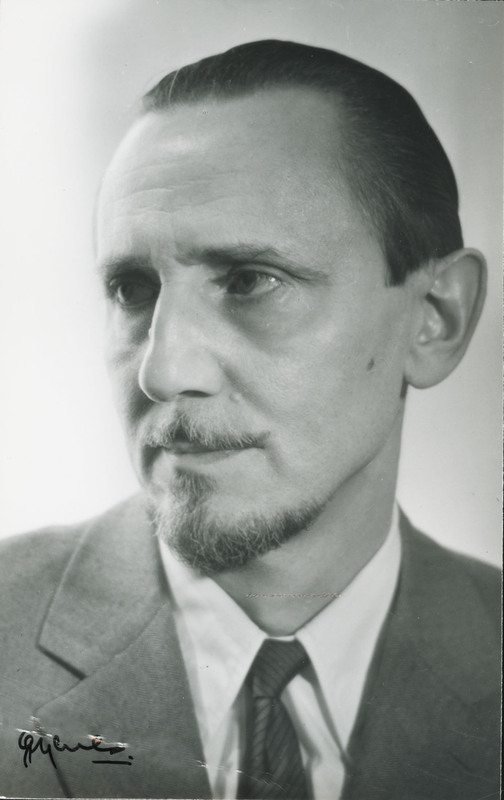 The American pianist and musicologist Douglas Riva, a great connoisseur of the work of Enrique Granados - of which he has been editor-critic - generously donated to our centre between 2016 and 2017 a set of documents relating to the Lérida composer that includes a historical bibliography, musical editions, photographs, programme handouts and the autograph manuscript of the incidental music of Torrijos. In August 2016, the grandson of Antonio San Nicolás, Felix Sanz donated a small personal collection from the composer. Fundamentally, it contains band music and some librettos of lyrical theatre works with his music and that of other composers. It also includes some documents and press clippings. 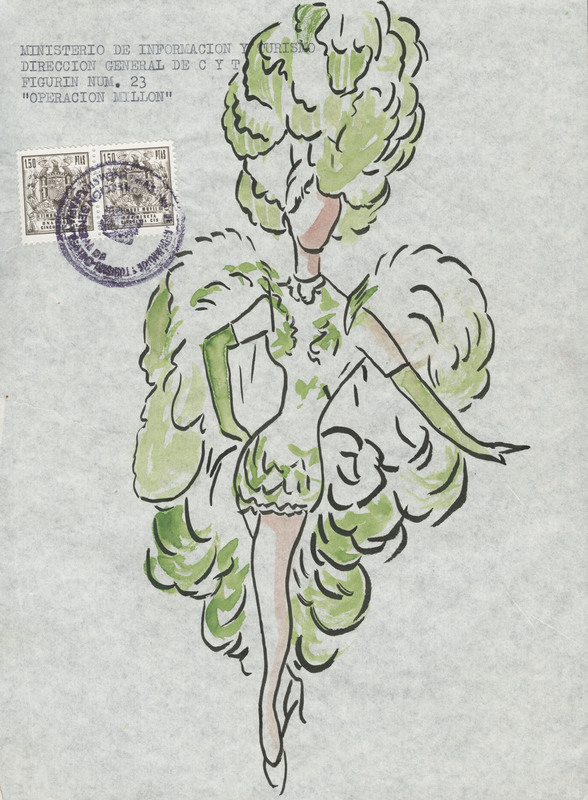 This unique collection brings together documentation from the show magazine company that directed the comedians and theatrical impresarios Tomás Zorí and Fernando Santos. This collection includes figurines, scenographic sketches, programmes, photographs, censorship authorisations and many other administrative documents related to the magazines that this company prepared and staged. This is one of the most important sets of commercial editions of Spanish music held by an archivist institution. 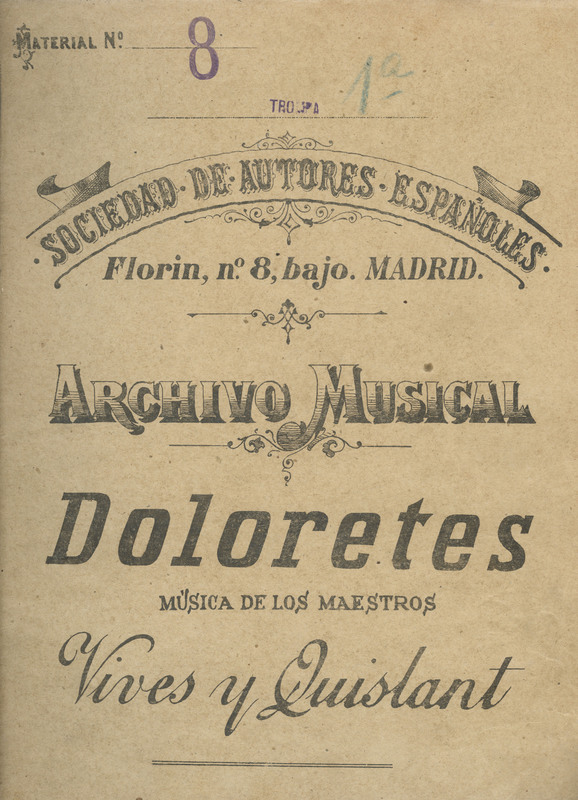 This collection forms the historical archive of the Spanish Musical Union, a company that has throughout its history brought together the majority of the country’s musical publishers (Casimiro Martín, Casa Dotesio, Fuentes y Asenjo, Ildefonso Alier, etc.). 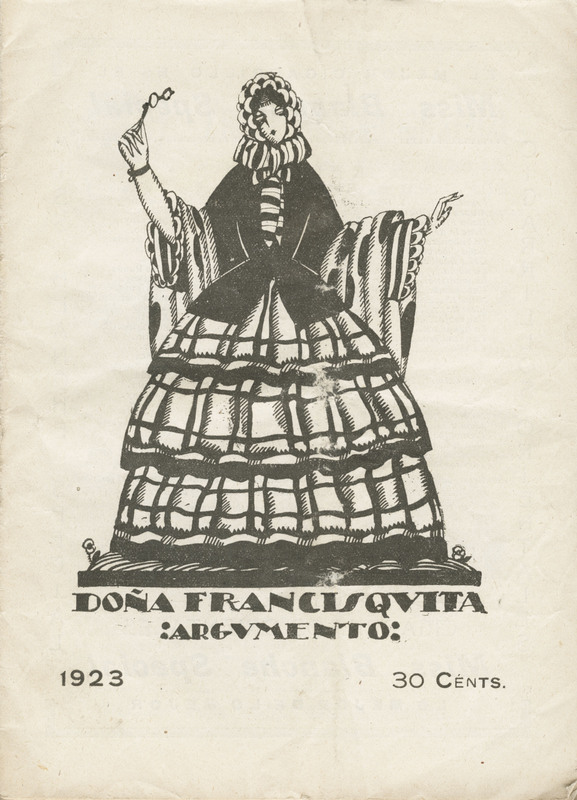 It includes, therefore, a very broad representation (as its size is more than twenty-three thousand scores) of the total music marketed in Spain from the mid-nineteenth century to the first third of the twentieth century. An important set of historical orchestral materials from the symphonic and chamber music repertoire of the publisher has recently been added to the collection. 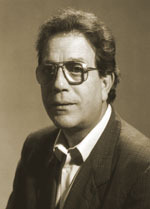 Celso Lucio y López is fundamentally known for his work as a "género chico" lyricist. 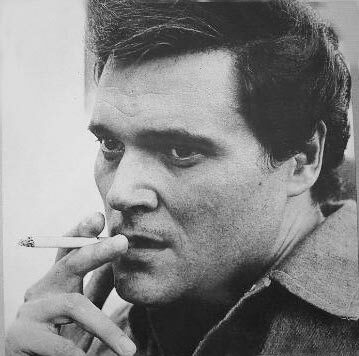 He wrote texts, some with great success, both alone and in collaboration with other famous dramatic authors. On November 19, 2007 an heiress of his donated to the SGAE a set of librettos, piano sheet music for lyrical works in which he was the lyricist and a radio script adapted from his theatrical text. The couple made up of the drama author Federico Oliver y Crespo and actress Carmen Cobeña Jordán constitutes the first generation of an artistic saga to which also belong their daughter Carmen Oliver Cobeña and their grandson Jaime de Armiñán. 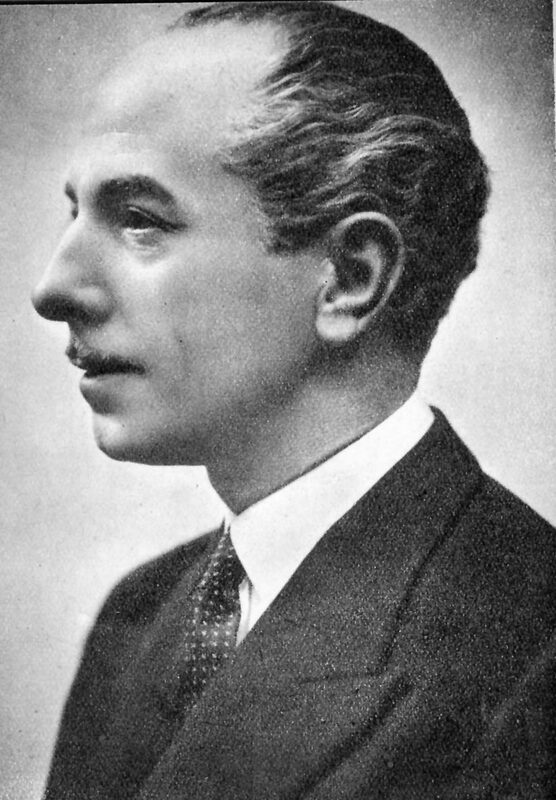 Oliver bore a successful theatrical production attached to the movement "novecentista" and held the presidency of the Society of Spanish Authors between 1930 and 1931. Carmen Cobeña was one of the most important actresses of her time. The SGAE Archive holds an interesting family photo album with both personal and illustrative images of their respective artistic careers. A set of administrative documents from this lyricist and playwright. 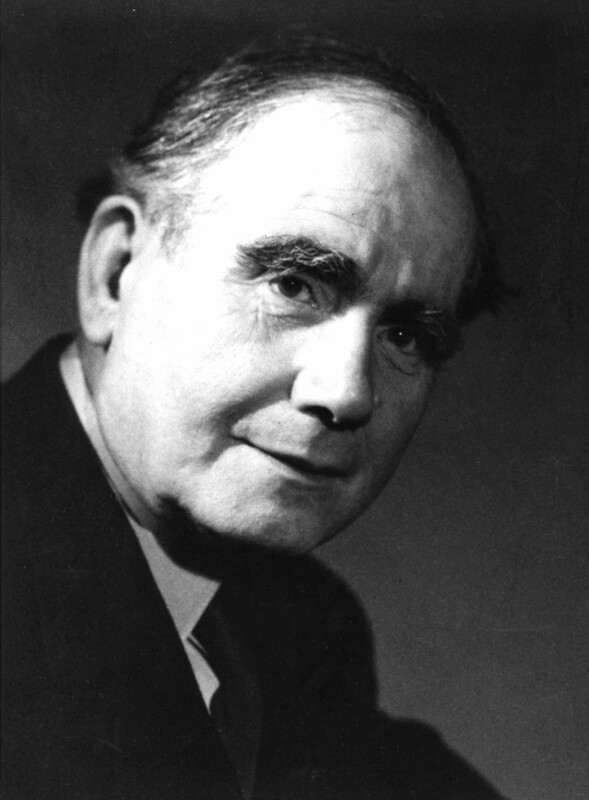 Scores edited with the lyrical repertoire of this singer that contain dedications from the authors of the works. This is an album that contains more than fifty songs and cuplés with music by Ricardo Amiano Garmendia as well as a couple of editions for orchestra of so many other of his compositions. It was donated in 2016 by a niece of the Bilbao composer. A collection of edited scores with a lyrical repertoire from this pair of singers that contain dedications from the authors of the works. 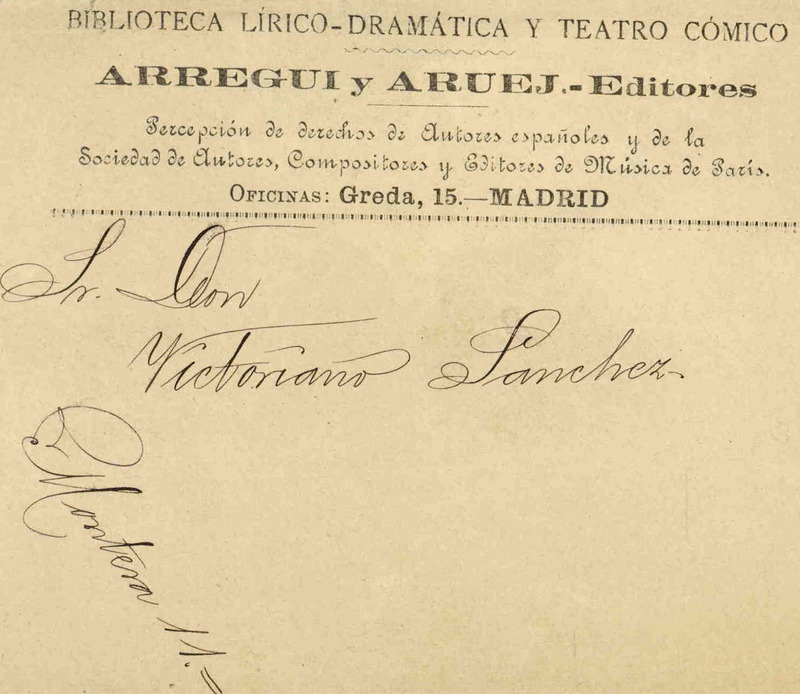 A collection containing administrative documentation from the theatre entrepreneur Victoriano Sánchez who managed musical theatre companies at the end of the 19th century.